As an avid connoisseur of film, as someone who lives and breathes cinema, Blu-ray is excellent. Films I thought that only I loved are getting the HD treatment I never thought they would get. Thanks to Scream Factory, there’s a collector’s edition Blu-Ray of Dolls with the kind of transfer that I never thought I would see and that contains everything I could ever want to know about the movie. This is a golden age for horror collectors. I couldn’t be happier with how far we’ve come in terms of home media and viewing your favorite horror movies from the comfort of your own home. But do I miss the way things were when I was a kid? Yes. Of course I do, everyday. You ask just about any horror fan who grew up in the ‘80s and ‘90s and they’d tell you the same thing. Nobody seems to fondly remember their ratty VHS tape of Stand by Me, but man, get a horror fan talking about their copy of Nightmare on Elm Street 3 and they are likely to tell you that they nearly wore it out from watching it so much. 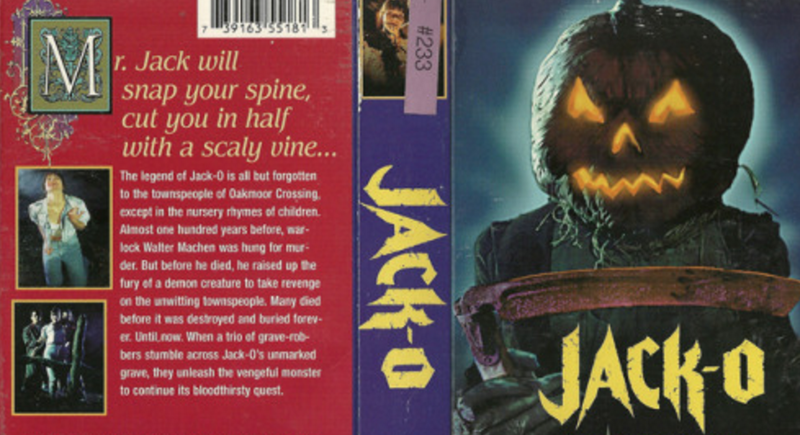 If you are a horror fan and you grew up with video stores, you miss them. We’re very—often overly—nostalgic for them, but it’s not without reason. Each of us has our stories and our reasons why. But the biggest reason is a very simple one: These are the places where we discovered the genre. 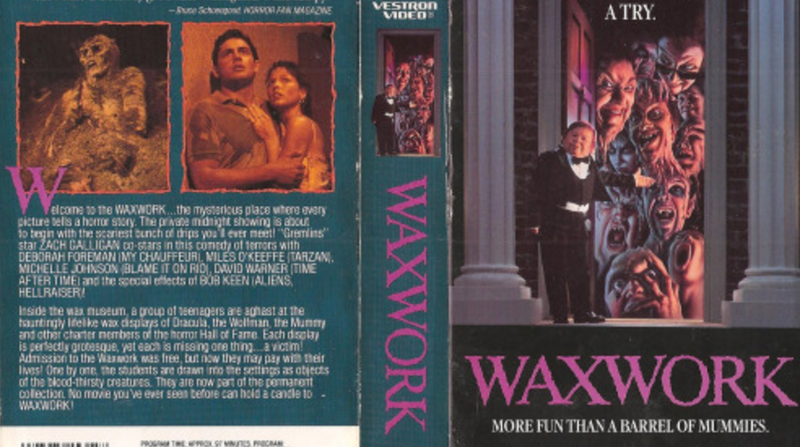 Sure, every now and then we’d catch one on late night TV, but when you walked into a video store you could go right to the horror aisle and get an education. There was something about those boxes that made them stand out as more appealing than anything else. 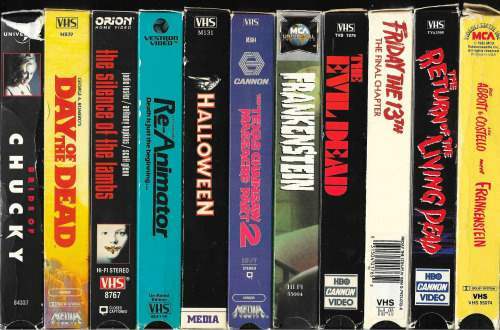 You could spot horror movies on VHS from halfway across the store, depending on the size of the box and how flashy it was. The cover artwork was more appealing than so much of what we have today, the synopses on the back were often unintentionally hilarious, but that didn’t matter. I read them all anyway. I wanted to know what all of them were. I would imagine the movies in my head, I couldn’t help it. Some of these imagined versions were better, some of them were much worse. The thing is, as much as I loved discovering the entire horror section and studying every single box in my local video store, I pretty much rented the same movies over and over. Every weekend when I walked down there with $2.50 in hand, if I wasn’t taking home Puppet Master, it was Friday the 13th: The Final Chapter, Howling VI, Pumpkinhead, Halloween or Waxwork. I would branch out on occasion, but those were the staples that I couldn’t stop watching as a child. My parents established a rule in which they figured yesterday’s R was today’s PG-13, so they let me watch anything as long as it was made in the 1980’s or before. This was the best parenting decision ever and has so much to do with how my tastes in the genre were formed. Of course, I would see everything that was new as well. It required being a little more inventive, but it could be done. No matter what it was, I’d check it out in a way that I kind of wish I still did today. I didn’t read any expectations about whatever was coming out online, I just watched it because it was a new horror movie and I loved horror. Scream, Urban Legend, The Faculty, An American Werewolf in Paris, I Know What You Did Last Summer, Halloween H20, Bride of Chucky, The Blair Witch Project… more often than not you’ll see this labeled as one of the worst periods in horror history, this self-referential post-Scream world. But I loved it, and even if there was a lot of bad I found a few lifelong favorites at the same time. Yeah, there was a lot of rewinding. The quality was not great and some movies were almost unwatchable. I won’t pretend VHS is the ideal way to watch a movie. If a DVD malfunctions it doesn’t take the DVD player with it, but that would often be the case with a video tape that went haywire. Trying to rescue it could save the VCR, but never the tape. Either way, it was always an absolute mess. But that doesn’t mean I don’t understand the nostalgia. That doesn’t mean I don’t often look at scans of my favorite box art or think about the fact that I was so scared of Chucky that I would have to turn the covers of the Child’s Play series over when I browsed the horror section. I think about these things all the time. To me, this is a healthy kind of nostalgia. I look back on those times with nothing but fondness, but I wouldn’t necessarily want to go back to them, as great as they were. Video stores were how I immersed myself in horror as a kid and they were exactly what I needed to become as big a fan as I became. They created in me a rabid, hungry need for the genre. They’re the biggest reason I developed such an affinity not only for ‘80s horror but in particular for companies that made their biggest profit on video, like Empire, Vestron and Full Moon. Of course I miss video stores. Of course I miss the days of VHS. The simplicity of those days rivaled the simplicity of the format itself. But I think it’s better to think of it as an era that I miss rather than think of it as the way things should be, just so that I can be bitter about the way things are. Audition: Disturbing Torture Film or Black Romantic Comedy?